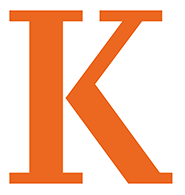 Kalamazoo College will host two public lectures on “Artistic Truth” and “Public Art” by Lambert Zuidervaart, Ph.D., professor of philosophy at the Institute for Christian Studies in Toronto and a member of the graduate faculties in theology and philosophy at the University of Toronto. He was recently appointed Director of ICS’s Centre for Philosophy, Religion, and Social Ethics. His recent books include Art in Public (2011), Dog-Kissed Tears (2010), Social Philosophy after Adorno (2007), and Artistic Truth (2004). On Thursday Feb. 28, his topic will be “Artistic Truth.” On Friday March 1, his topic will be “Public Art.” Both lectures take place in the Olmsted Room, in Mandelle Hall, at the corner of Academy and Thompson streets on the K campus. Free and open to the public, the lectures start at 8:00 p.m. Call (269) 337-7076 for more info. Zuidervaart is a recognized expert in critical theory, especially the work of Theodor Adorno. His research and teaching range across continental philosophy, hermeneutics, social philosophy, and philosophy of art, with an emphasis on Kant, Hegel, Marx, Heidegger, Gadamer, and Habermas. He is currently developing a comprehensive and transformative conception of truth, in debate with prominent philosophers in both analytic and continental traditions. Before moving to Toronto in 2002, Zuidervaart was a professor of philosophy at Calvin College for 17 years and served as board member and president of the Urban Institute for Contemporary Arts. This entry was posted in News Stories and tagged arts, philosophy, religion, research, speakers, . Bookmark the permalink.